Love sheesha? Then don’t spend money outside to enjoy it and instead, get one for yourself from any of these shops at Pydhonie. Located at Pydhonie near the masjid, we saw a bunch of sheesha shops that sell some amazing and beautiful hookahs for real cheap. And there isn’t just one or two, but many shops lined up one after the other on this street. 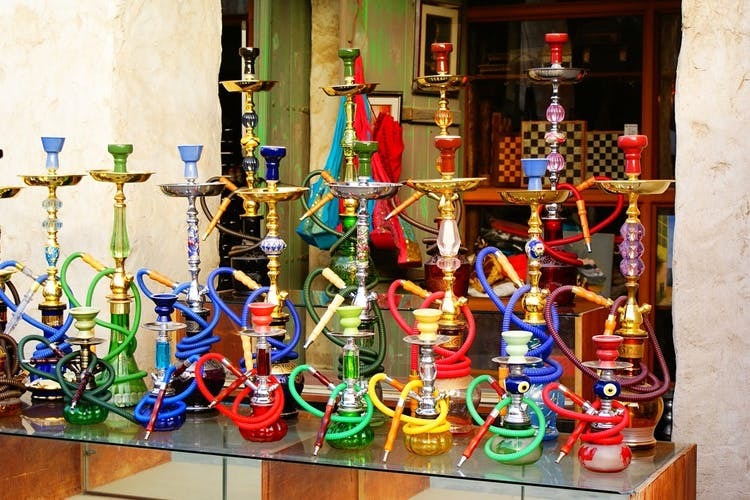 We feel they are the best places to buy sheesha at cheap rates, because you know, why spend money outside to have hookah when you can get one for yourself, right? Sheeshas here are priced as low as INR 300 and can go up to INR 10,000. These are best for gifting purposes, to add an antique touch to your house and obviously for great house parties too. While there are many shops to explore, we’re regulars at Al-Kausar. Go get a funky hookah that can be both- a beautiful show-piece in the house in the day, and guilty indulgence by night.